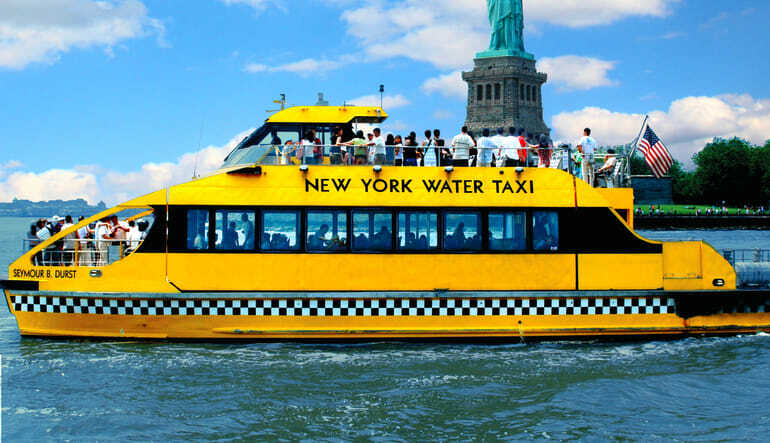 Get full-day access to the luxury Water Taxi, which takes you to a number of postcard attractions. No backed up traffic, no sardine-tin subways and no crowded sidewalks—without a doubt, the best way to discover New York City is by taxing its waterways! 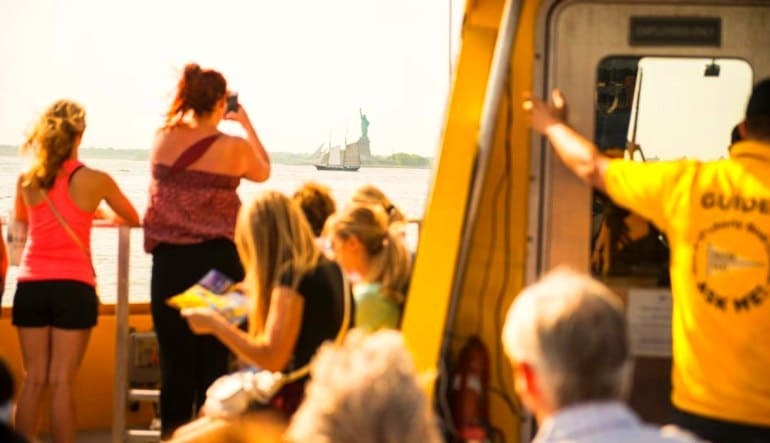 And this New York City ferry tour lets you see it all on your own watch. 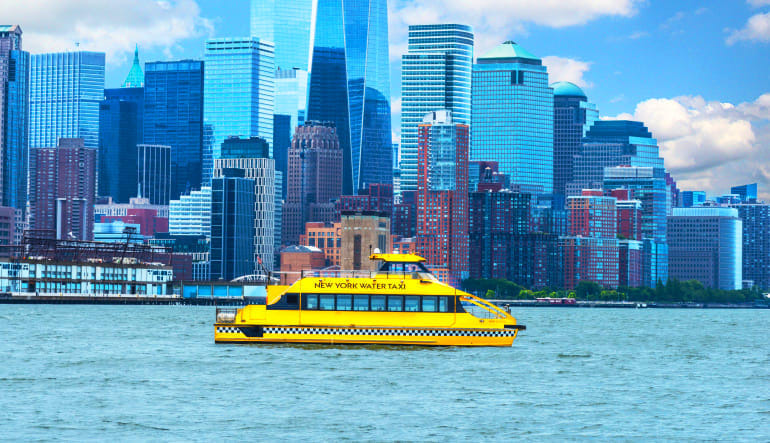 Get full-day access to the luxury Water Taxi, which takes you to a number of postcard attractions. You can come and go as you please or enjoy the 90-minute ride in its entirety. It’s up to you! Full day access means you can get on and off the ferry at any one of its six piers. If you choose to take all the sights in at once, the ride gives you an hour and a half of amazing photo opportunities. Either way, you make your own itinerary! 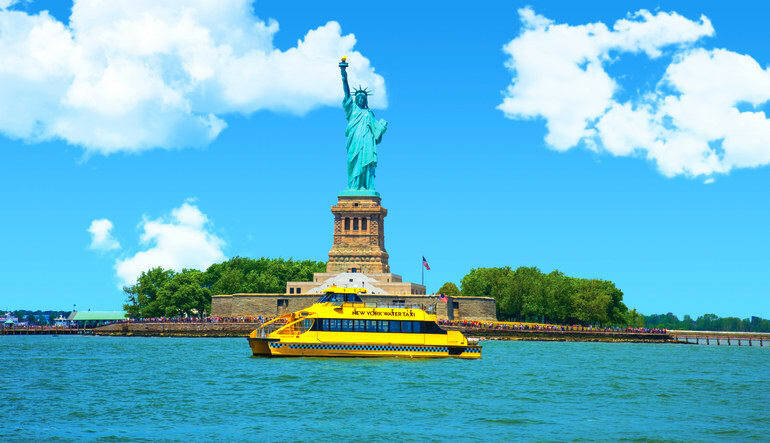 Throughout your journey, you’ll get to see the Statue of Liberty, the Empire State Building, One World Trade Center, the Brooklyn Bridge and more! The luxury taxi comes equipped with a cash bar, washrooms and two levels of comfortable seating (including an air-conditioned cabin)! 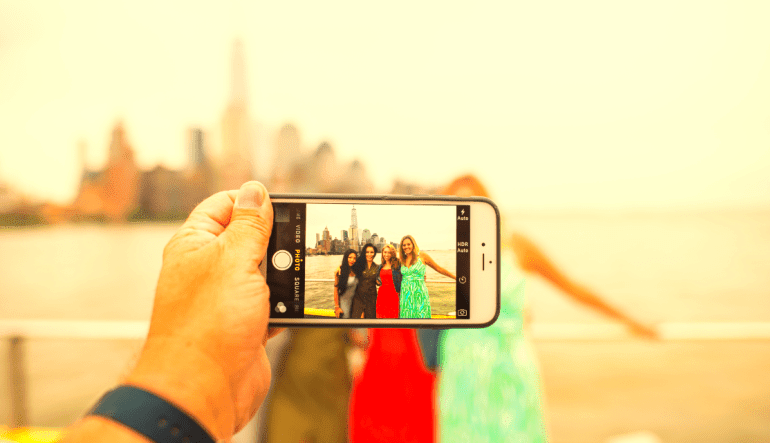 In one day, you’ll get an all-encompassing Manhattan experience without having to hail a single cab. Be a part of it! They have great customer service and they fullied our needs. Wow! We only had 1.5 days in NYC and found you online - we took a chance and purchased tickets - it worked out perfectly! Trip was as advertised, except the people were better than expected! What fun! Thanks so much for being so easy to find, so easy to purchase, so easy to enjoy!! Please note boarding is based on a first come-first serve basis. We regularly sell-out so please arrive well in advance to secure a spot.